Whether you're running a business blog or a personal blog, plugins are going to be an integral part of it and it's up to you how you select and manage them. About a week back, I received an email from a budding blogger asking about the number and types of plugins one should use on his blog. There's no simple answer to it. Depending on the type of blog, its goals, and the blogger's technical abilities - plugin usage strategies may deviate significantly in different circumstances. Almost every WordPress blog uses plugins to extend the functionality of this powerful content management system. They not only help you incorporate custom features but also save loads of your precious time. But, there's a dark side too that can leave your blog sluggish, broken or hacked due to improper or inappropriate use of these plugins. Fortunately, by following some simple guidelines we can get the most out of these awesome extensions without inducing any adverse effect on our blogs. So, let's get started and learn plugin usage basics. Following are some of the basic plugin usage principles that are more or less applicable in almost all conditions to get the best out of these pieces of code external to the core content management system. When it comes to using plugins for a self-hosted WordPress blog, the lesser you rely on them, the better it will be. With every new plugin added to the list, you introduce additional database requests, additional HTTP requests adding more burden to your web server. This not only consumes additional resources at the server end but also makes your blog sluggish at the reader's end. Here are some of the basic considerations that decide whether a plugin should be used or not. Is it vital for blog's success? If the answer to all the questions mentioned above is 'Yes', you can go ahead with selecting a good plugin to implement the required feature. If you go through this process, you can certainly reduce the number of plugins you're going to use on your blog. The end result will be a less cluttered system with fast load times. So, once you've identified a feature or functionality that requires a plugin, you should move on to the next step of choosing a right plugin. Before you go ahead for searching a right plugin for your needs, I would strongly suggest you look for the possibilities of implementing the feature in an efficient way through a custom functions.php file and WordPress hooks. A classic example is the usage of plugin for displaying related content beneath blog posts. Generally, users quickly download a plugin for the same. But, this feature can be easily implemented in an efficient way without using any plugin. In case, you find no feasible solution except the plugin itself, you must select the best candidate among all the available options. Identify all the available options - WordPress plugin database is so huge that you'll find multiple solutions for each possible feature you're looking for. You must prepare a list of all these plugins to maximize the probability of finding the best possible solution. Check their revision history - The first thing that needs to be checked is the revision history and the last update time of each of the shortlisted plugin. This gives a clear indication of how actively the plugin is being developed and when was the last time its stable version was released to the general public. Check version compatibility - Make sure the plugin you're selecting is compatible with the WordPress version you're running on your web server. Good plugin developers always test their plugins against each new beta release and fix any shortcomings before the stable version reaches the general users. Check user base - This is one of the success metrics for almost all of the WordPress plugins. Check the number of downloads till date or downloads per day to get an idea of how popular it is among the community. You can get all this information quite easily on the plugin's page at the official WordPress plugin repository. Check user reviews - This is yet another simple way to get a fair idea about any plugin's performance. I called it 'fair' because sometimes these reviews don't give the true picture. A newbie may test the plugin in the wrong environment and may end in bashing it in his review. Cross-checking this essential data shortens your list of available plugins leaving only the very best to consider for the next important phase of testing. This whole exercise ensures that your time is not wasted in testing useless plugins that either yield poor results or are broken. At this point, you'll be having a list of shortlisted plugins that must pass certain basic yet very important tests to qualify for actual usage on your live blog. Do you simply download and activate plugins on your live blog? If that is the case, you're not only risking your blog's security, but you're also planting time bombs ticking day and night ready to explode unexpectedly at any time. To prevent this catastrophe, grill every single plugin against certain tests before it reaches your live blog. Before you start testing your plugins, you must ensure that you've installed an exact replica of your live blog both on a local server on your computer system as well as on the web server itself. Why a replica is needed on the web server? Well, there are some plugins (e.g. some caching plugins) that cannot be tested correctly in a local web server environment. Once both test blogs are up and running it's time to plunge into the rigorous testing routine discussed below. Check for malware or malicious code - This is the most important step to ensure you're not getting crap out-of-the-box. Start scanning with desktop antivirus and continue the scan with WordPress-specific security plugins after installing them on the test blog. The latter part is extremely important because some plugins inject malicious code in an encrypted format in themes as soon as they're activated from the dashboard. Check for plugin dependencies - Although it is very rare that a plugin is completely or partially dependent on another plugin, still you must read the plugin documentation carefully for any plugin dependencies. If that is the case, all the plugins in the dependency cycle must come under your testing radar. Note plugin's database tables (if any) - Manually inspecting and noting plugin's database tables serves two purposes. Firstly, you can look for any suspicious data storage activity which can be otherwise missed by even the best security plugins. And secondly, you can identify, purge and clean up any left tables easily after uninstalling the plugin. Stress on manual tests - Nothing can beat an exhaustive manual test taking important conditions into consideration that may arise during day-to-day usage. Remember, there's no silver bullet to completely test a piece of software, but through a manual testing process you can reduce the damage probability to the minimum. Check for plugin efficiency - Here we're talking about how much resources a plugin consumes and how its use affects speed and load times. You can use P3 (Plugin Performance Profiler) plugin to check for some of the vital statistics associated with the plugin's performance. This includes runtime, plugin load time, database queries, memory consumption, and much more. Compare the results - Needless to say, the best performer always wins the race. When you're done with the tests, tabulate the results and select the best plugin in term of efficiency and ease-of-use. Your primary concern should be how efficient a plugin is. In other words, it shouldn't consume much system resources and shouldn't slow down your blog. One must devote enough time to thoroughly test the shortlisted plugins. Skipping this vital step can leave your site open for intruders. If you have a budget, do not hesitate in getting the finalized plugin tested by a professional. Now that you have tried and tested all the shortlisted plugins and have also selected the best one, it's time to get the beast working on your live blog. Choose weekends to install new plugins when traffic is at its lowest. Do not forget to take a backup before installing a new plugin. This way, even if a plugin breaks your theme, the damage will be minimal and you'll get enough time to recover. If possible, immediately after installing the plugin you must ask some of your peers to check your blog on their systems to see whether everything looks fine at their ends or not. And now, here's a recap of using WordPress plugins in a better way. Always keep your plugins updated to the latest version to not only get the better and improved features but also to prevent any unauthorized penetration due to insecure code in old versions. A good plugin is - secure, efficient, and user-friendly. Generally, a plugin is the culprit for blog's sluggish performance. If you're using only these 3 plugins (Google XML Sitemaps, W3 Total Cache & Akismet Anti-Spam) - you're a WordPress ninja! 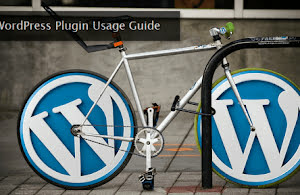 This completes our plugin usage guide for self-hosted WordPress websites. The bottom line is - rely less on plugins and only use one, if really necessary.